President Erdogan has taken advantage of the state of emergency to escalate repression against all opposition, not just those groups allegedly implicated in the coup. The repressive measures include many clear violations of European and human rights norms to which Turkey is bound. These measures have targeted with special intensity the Kurdish Freedom Movement, but also extend to critical media and to dissenting voices in the press and academia, and to trade unions, human rights defenders and wider civil society. To make matters worse, the victims of these repressive measures have virtually no effective recourse to the judiciary, whose independence has been severely undermined. Indeed, the judiciary itself has experienced a massive and unlawful purge, as has the public administration and the educational system (https://www.hrw.org/world-report/2017/country-chapters/turkey). An international peace delegation organized by the EU Turkey Civic Commission (EUTCC) and consisting of 10 members from Europe and North America, including Members of the European Parliament and of the Council of Europe, academics, and journalists, visited Turkey between the 13th and 19th of February. The delegation witnessed and gathered information about the dire civil and human rights situation in the country. The delegation met with representatives from the Kurdish Freedom Movement, political parties, trade unions, lawyers, academics, journalists, and representatives of other civil society organizations in both Diyarbakir and Istanbul. It attended the unlawful, politicized trial of an HDP MP from Diyarbakir, Ms. Gaglar Demirel; and it toured Diyarbakir meeting with many people who gave testimonies about their experiences in the past year and a half, including military assaults, blanket curfews, countless infringements of civil rights, and human rights atrocities. Through the office of Julie Ward MEP, the delegation applied to the Turkish Minister of Justice, requesting a meeting with the leader of the Kurdish Freedom Movement, Abdullah Öcalan, who has been imprisoned and isolated in inhumane conditions on Imrali Island for eighteen years now, and who is a crucial role player in the peace process. Unfortunately, the Minister of Justice did not respond to the request. The delegation also attempted to visit the co-chair from the Peoples’ Democratic Party (HDP), Selahattin Demirtas, currently imprisoned unconstitutionally in Edirne. Its request was rejected. The Delegation took note of Turkey’s non-compliance with the recommendations of the Committee for the Prevention of Torture regarding the unlawful and inhumane treatment of Abdullah Öcalan. The Delegation was particularly disturbed by the unconstitutional imprisonment of the elected representatives of the HDP, the country’s third largest political party, as well as the unlawful persecution and detentions suffered by many of its members. These unlawful detentions escalated in a most alarming fashion during our visit, with at least 834 people detained between the 13th and the 15th of February, according to the Turkish Ministry of the Interior (http://www.aljazeera.com/news/2017/02/turkey-hundreds-detained-alleged-links-pkk-170214162131411.html; https://www.dailysabah.com/investigations/2017/02/14/more-than-830-pkk-suspects-detained-in-anti-terror-operations). The escalating persecution of the HDP is especially worrisome against the backdrop of the run-up to the referendum over President Erdogan’s proposed hyper-presidentialist reform of the constitution. HDP representatives with whom we spoke consistently reiterated the very plausible claim that President Erdogan is trying to undermine the party’s capacity to operate, organize, and carry out its campaign for a NO vote. This situation, combined with the repression of opposition media, means that the conditions for a free and fair plebiscite on the proposed constitutional reforms simply do not hold, and therefore casts serious doubt about the democratic legitimacy of the outcome of the referendum. It also bodes most poorly for the stability of the country more generally, not to mention the prospects for the peace process. People with whom the delegation spoke consistently denounced state terror and human rights abuses perpetrated by the Turkish authorities since the unravelling of the peace process. East_TurkeyReport_10March2017.pdf; for more details, see http://hakikatadalethafiza.org/en/kaynak/hasar-tespit-zorunlu-goc-raporu-kent-merkezlerinde-gerceklesen-catismalar-sonrasi-durum/. Also, see this article from a member of our delegation, the veteran foreign correspondent, Jonathan Steele: http://www.middleeasteye.net/news/turkeys-own-refugees-kurds-turn-europe-help-1255366989). The cities under curfew became war zones, pounded with heavy artillery and tank fire. Children were killed. People of all ages were shot dead in streets, but because of the curfew, their bodies could not be retrieved for extended periods. Certain police forces were licensed to shoot anyone with full impunity, with no fear of consequences. These Special Forces were not commanded by local governors but were directly linked to the central government. In Cizre, many civilians who took refuge in three different basements were killed, even burned alive, and the state destroyed the buildings to eliminate the evidence http://en.ihd.org.tr/wp-content/uploads/2016/04/Cizre-Report-2016.pdf). These constitute war crimes and crimes against humanity. 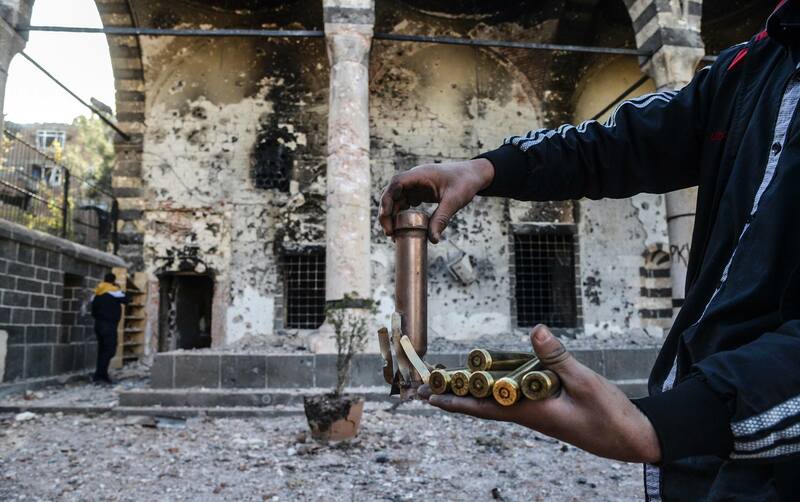 In addition, in the Sur district of Diyarbakir, UNESCO world heritage sites have been badly damaged (https://www.scribd.com/doc/309158134/SUR-Amed-Report-April-2016). And the crimes continue. During our visit, blockades and round-the-clock curfews were implemented in several villages around Diyarbakir, as well as in the border city of Nusaybin, in the province of Mardin, with reports of serious human rights violations, including shootings, torture, houses being shelled and demolished, while HDP deputies and human rights’ activists have been barred from entering the curfew zones (http://turkeypurge.com/ihd-families-cannot-reach-their-children-in-blockaded-korukoy). Amnesty International and the Council of Europe expressed grave concerns about the situation in areas placed under curfew, condemning the use of disproportionate force and the imposition of measures that amount to collective punishment, and called on Turkey to allow independent observers. These calls went unheeded (https://www.amnesty.nl/nieuwsportaal/pers/turkey-authorities-must-allow-residents-cizre-access-basic-needs-during-prolonged). Worse than impunity – those who have spoken out against state terror and human rights’ atrocities in the Kurdish region have been persecuted and silenced. Even before the failed coup and state of emergency, academics were threatened for opposing the conduct of the war, lawyers were intimidated and subject to criminal charges for defending Kurds, journalists were prosecuted and media outlets were closed down for questioning the descent into war. Such persecution has escalated greatly during the state of emergency. Indeed, Human Rights’ Watch World Report includes a chilling chapter on recent events in Turkey, in which it denounces, “the government’s increasing authoritarianism,” and emphasizes especially the “crackdown in the aftermath of the attempted coup” (https://www.hrw.org/world-report/2017/country-chapters/turkey). The report documents concerted efforts by the Erdogan government to silence dissenting voices. “Under the state of emergency, the President presides over the cabinet, which can pass decrees without parliamentary scrutiny or possibility of appeal to the constitutional court. Many decrees passed contain measures which conflict with basic human rights safeguards and Turkey’s obligations under international and domestic law. The efforts of the Erdogan government to silence dissenting voices include an assault on academic freedom, begun before the coup, in January of 2016, in response to a petition by over 1,000 university lecturers objecting to the spiraling repression in the southeast and calling for a return to the negotiating table with the PKK. 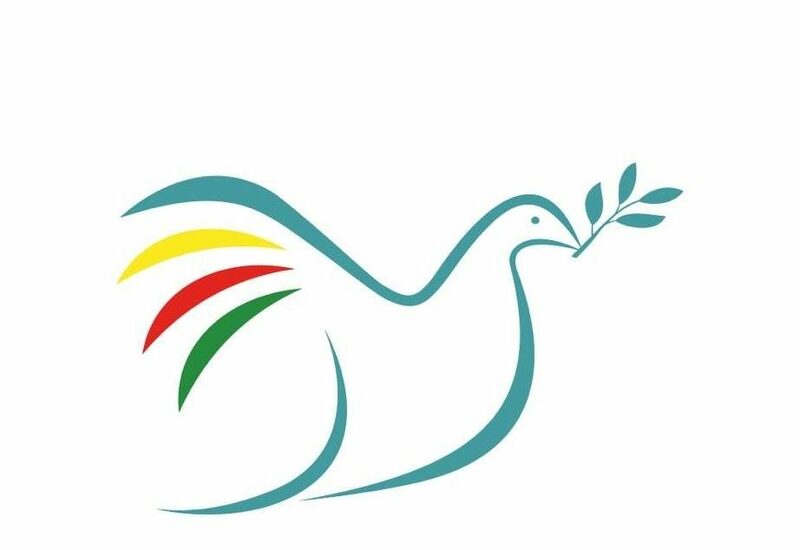 The “Academics for Peace” have been subjected to a campaign of intimidation and social and legal persecution. Signatories are facing criminal investigations for “insulting the Turkish state;” dozens were dismissed by their universities in the spring; and in the fall, thanks to the state of emergency, 68 were dismissed by executive decree, bringing the total number of “Academics for Peace” who have been dismissed up to 126. But this is just the tip of the iceberg. During emergency rule, a veritable purge of the academy has taken place. More than 11,000 academics are currently under investigation. Fully 4,481 academics have been dismissed; alongside another 1,102 administrative personnel (http://www.kurdishinstitute.be/wp-content/uploads/2017/02/DEMOCRACY-AND-HUMAN-RIGHTS-REPORT-ON-TURKEY.pdf). Nor have university-level academics been the only educators targeted by the Erdogan government. The assault on academic freedom at the university level has been accompanied by an even more systematic purge of the faculty employed in the primary and secondary educational system. During our visit to Diyarbakir, trade union representatives with whom we met informed us that over 10,000 members of the primary and secondary school teachers’ union, Egitim-Sen, have been suspended from their posts, and that one of the main reasons for these suspensions was that they had participated in a strike calling for peace at the end of 2015. In addition to these suspensions, to make matters worse, during emergency rule over 30,000 educators working for the Ministry of Education have been dismissed, and the contracts of another 21,000 educators in private education institutions have been canceled. Likewise, 15 private universities and over 900 private schools have been shut down altogether (http://www.kurdishinstitute.be/wp-content/uploads/2017/02/DEMOCRACY-AND-HUMAN-RIGHTS-REPORT-ON-TURKEY.pdf). Nor does the educational system stand alone as a target for government attacks. As Mr. Ahmet Ozmer, put it, “the State of Emergency has turned into a campaign for the elimination of all opposition in Turkey.” This campaign includes the closure by decree of over 1500 Non-Governmental and Civil Society Organizations, 123 Foundations, and 19 unions, federations, and confederations. The Erdogan government has also launched a virulent attack against the independent and opposition media. Indeed, even before the post-coup assault, the situation was rapidly deteriorating. In 2016, Turkey ranked 151st out of 180 countries included in the Committee to Protect Journalists’ World Press Freedom list; while Freedom House ranked press Turkey 71st out of 100 countries in terms of press freedom, labeling it “unfree.” (https://freedomhouse.org/report/freedom-press/2016/turkey). The Human Rights Watch Report denounces the disturbing trends in prosecution and jailing of journalists over the course of 2016. To date, 839 journalists have stood trial for articles they have published, and 189 have suffered verbal and physical assaults from police and security forces. 151 journalists are now under arrest, “making Turkey once again a world leader in jailing journalists” (https://www.hrw.org/world-report/2017/country-chapters/turkey). The Erdogan government has arrested some of these journalists for alleged links to the Gülen movement, but has provided no evidence of criminal wrongdoing, and even more for alleged links to the PKK, but again has presented no evidence to substantiate its charges. Indeed, the crackdown on freedom of expression extends to the social media as well. According to the Turkish Ministry of Interior, during the first six months of emergency rule, 3,170 people have been processed, and 1,656 arrested, charged with “making terrorist propaganda” on the social media. 1,203 have been released with judicial control. As of mid-January 2017, 84 people are detained, and 767 have been released after having been detained. The Ministry of Interior added that over 10,000 cases have been filed, and that those who have been identified as aiders-and-abettors of “terrorism” have had their identification details passed on to public prosecutors. Among the charges against those detained, arrested, and prosecuted are “incitement of public hatred, praising and making propaganda for a terrorist organization, declaring links to a terrorist organization, defaming officials, attempting to damage the unity of the state, and jeopardizing the safety of the public.” In addition, the Ministry of Interior has announced “higher cooperation with service providers, such as Twitter, Facebook, and YouTube.” Even for simply sharing statements made by HDP co-chairs, ordinary citizens have been arrested for “supporting a terrorist organization.” Such are the lengths to which the Erdogan government is willing to go to silence dissenting Kurds (http://www.kurdishinstitute.be/wp-content/uploads/2017/02/DEMOCRACY-AND-HUMAN-RIGHTS-REPORT-ON-TURKEY.pdf). In February of 2017, the Commissioner of Human Rights for the Council of Europe issued a memorandum on freedom of expression and media freedom in which it condemned the current situation in no uncertain terms. The Commissioner expressed his “utmost concern” about “the scale and speed of the deterioration of the situation regarding media freedom and freedom of expression in Turkey». He documented “numerous, blatant violations of principles enshrined in the ECHR, the case-law of the European Court of Human Rights, standards of the Council of Europe, as well as other relevant international standards”. He also denounced that such “violations have created a distinct chilling effect manifesting itself not only in self-censorship in the remaining media which is not controlled by or sympathetic to the government and the ruling political party, but also among ordinary citizens” (https://wcd.coe.int/com.instranet.InstraServlet?command=com.instranet.CmdBlobGet&InstranetImage=2961658&SecMode=1&DocId=2397056&Usage=2). “The state of emergency is a threat to all citizens and a weapon for intimidating the opposition.” These eloquent words were spoken by Ms. Gaglar Demirel, HDP MP for Diyarbakir, while defending herself in an unlawful and politicized trial that our delegation had the opportunity to witness first hand. Ms. Demirel might have added that the state of emergency is also a means through which Erdogan has managed to tighten his grip on power within the state apparatus itself, including crucially, in addition to the educational system, the military, the bureaucracy, and the judiciary as well. The Erdogan government’s counter-attack has extended well beyond the coup plotters. Erdogan has used emergency rule to target and purge all checks and balances on his power, from within the state and from without. “Since the State of Emergency was declared, there has been limited access to justice. Decrees during the State of Emergency do not need the approval of the Turkish Assembly. There have been decrees made almost weekly. They are changing laws through decrees. “Even during the State of Exception, there are still certain rules and regulations. It can be extended with the approval of the majority of the assembly, and lasts for a three-month period. The current state of emergency ends at the end of March. There must be a relation between the threat, which is the main cause of the state of emergency, and the actions undertaken by the state. However, this is not happening. More than one representative from the Kurdish Freedom Movement with whom we spoke during our visit aptly referred to the on-going state of emergency as Erdogan’s “counter-coup.” A “counter-coup” which Erdogan hopes to culminate and consolidate via plebiscite, in the upcoming April referendum on his proposed hyper-presidentialist reform of the Turkish Constitution. During emergency rule, a major purge has been carried out in the bureaucracy and in the coercive state apparatus proper, the police and the military. According to the Ministry of Labor and Social Security, during the period of emergency rule, nearly 100,000 civil servants have been dismissed. A quarter of these, police officers. Even more significantly, the military has been dramatically reduced in size. Before the coup, the Turkish Armed forces employed nearly 520,000 people; by December of 2016, that number had been slashed by fully 30%, to about 355,000. The independence, as well as expertise and competence, of the judiciary has thus been severely undermined as a result of the massive purge. Nearly 3,700 judges and prosecutors have been dismissed; along with nearly 200 members of the military judiciary; nearly 250 judges, experts, and administrative personnel of the Court of Accounts and the Council of State; over 220 experts and administrative personnel of the Court of Cassation and the Constitutional Court; and another 15 administrative personnel of the High Council of Judges and Prosecutors. The compromised and politicized judiciary, combined with and achieved by the extraordinary powers granted the President during the state of emergency, has left victims of civil and human rights abuses at the hands of the increasingly authoritarian state without any effective protection, recourse, or redress for their grievances within the legal system. “Practically all the members of the Constitutional Court will be selected and appointed by the President, which would make it difficult for the Constitutional Court to act independently of the President. The President will also have a broad authority over the formation of the Council of Judges and Prosecutors (HSK) directly and indirectly through the parliamentary majority. The bill leaves no space for any self-representation from among the judiciary through a direct election. It would be impossible to talk about the independence and impartiality of the judiciary from the executive in the new amended constitution” (“Assessment of the Turkish Constitutional Amendment,” p.10). If the state of emergency has provided the means by which President Erdogan has managed to purge the state, to undermine the independence of the judiciary, and to silence dissenting voices – in effect, to consummate a counter-coup – the “war on terror” has provided the alibi. The crackdown on the Peoples’ Democratic Party, the HDP, so tragic in its consequences, is most illustrative in this regard. (See also Jonathan Steele’s report, which focuses on the persecution of HDP Parliamentarians: http://www.middleeasteye.net/news/hdp-turkey-court-case-kurds-63232956). Ms. Demirel was right to mention the intimate link between the “domestic” and the “international” fronts in the drive for war. Even before the election – both in terms of chronology and in terms of causal importance – events in Kobane had put the peace process under severe stress. The successful defense of Kobane against ISIS’s genocidal siege, a heroic defense by revolutionary Kurdish forces, in control in the north-east of Syria, inspired by Abdullah Öcalan, and seeking to implement his project of “democratic autonomy/ democratic confederalism” had caused great concern within the coercive state apparatus. The Turkish “national security community” not only feared contagion (i.e. a spill-over of the Rojava model), but was also incensed and felt deeply threatened by the increasing collaboration between Syrian Kurdish forces and the USA in the ongoing war against ISIS. Compounding tensions further, the “national security community” was also greatly embarrassed by the exposure of its complicity with ISIS, which soon came to light, thereby throwing its commitment to NATO into question. This criminal charge is but one of hundreds that have been filed against Members of Parliament from the HDP since the wave of lifted immunities against 55 of the 59 in their parliamentary group. The move to lift immunities gained momentum in early January of 2016, spurred on by the intervention of President Erdogan himself, who publicly “advised” the Parliament on the 2nd that “HDP MP’s should go to prison.” In the weeks and months after this “advice,” the number of dossiers affecting immunity that were prepared against members of the HDP skyrocketed (http://www.hdp.org.tr/images/UserFiles/Documents/Editor/AnAssessmentReport.pdf, p.5). “[W]hile the promise of narrowing immunities to fight political corruption has been a key agenda in many political parties’ electoral platforms since [the] 1980s, parliamentary immunities were lifted only twice; both when nationalist alliances were formed to exclude Kurdish political representation in Turkey’s Parliament” (http://www.hdp.org.tr/images/UserFiles/Documents/Editor/AnAssessmentReport.pdf, p.3). On both previous occasions, excluding representatives of the Kurdish Freedom Movement from representation in Parliament served to “aggravate the long-standing Kurdish conflict, costing tens of thousands of human lives over decades.” So too with this third occasion. Between 2013 and 2015, the Erdogan government seemed committed to the pursuit of a “democratic resolution” to the Kurdish question. During this brief period, Erdogan and his government proved willing to break many long-standing taboos, for starters, by even recognizing the existence of a “Kurdish question.” The HDP played a crucial role throughout the so-called “Resolution Process.” As was formally requested and sanctioned by the AKP government and state institutions, party officials agreed to serve as “mediators between the state and government bodies,” on the one side, and Abdullah Öcalan and the PKK, on the other. But after the breakdown of the “Resolution Process,” these same officials would even face criminal charges for their role in peace negotiations (http://www.hdp.org.tr/images/UserFiles/Documents/Editor/AnAssessmentReport.pdf, p.4). Already in the run-up to the June election, President Erdogan began accusing the HDP of terrorism, even when ISIS attacked and murdered its supporters. The party faced significant harassment and intimidation throughout the campaign, which escalated much further in the run-up to the snap election in November. Since then, the assault has been full-fledged. Amidst the spiral of violence and repression, the HDP has suffered a wave of massive state-sponsored repression. Between July 22, 2015, and January 10 2017, fully 8,930 HDP members have been detained; and 2,782 HDP members have been imprisoned. In addition, between the 1st of January, 2015 and the 1st of January, 2017, HDP Offices had been attacked on at least 494 occasions, including one attack in the party headquarters which was “set on fire by racist mobs” (http://www.kurdishinstitute.be/wp-content/uploads/2017/02/DEMOCRACY-AND-HUMAN-RIGHTS-REPORT-ON-TURKEY.pdf). The parliament passed an unconstitutional Immunity Bill on May 20, 2016, in which the procedures prescribed in Article 83 of the 1982 Constitution were not followed. The parliament ignored the constitutional rules on at least three counts: by allowing a blanket vote over hundreds of immunity cases at once, by obstructing parliamentary review of the cases, and by depriving deputies of the right to defend themselves against the accusations included in their dossiers. In addition, the constitution was violated by the fact that President Erdogan, who is constitutionally required to remain “impartial” with respect to parliamentary activities, openly campaigned for the passage of the Bill, claiming that “my nation wants them in prison” (http://www.hdp.org.tr/images/UserFiles/Documents/Editor/AnAssessmentReport.pdf, pp.6-7). In total, 55 HDP Members of Parliament now face 654 criminal charges listed in 510 cases. The baseless and evidence-free nature of so many of the charges filed against them speaks volumes about the ‘McCarthy-on-steroids’ style witch-hunt that is under way. As the HDP aptly puts it in its own report, it is not simply the acts of individual parliamentarians that are being put on trial, but rather, the very values and principles that the HDP stands for as a whole (http://www.hdp.org.tr/images/UserFiles/Documents/Editor/AnAssessmentReport.pdf, p.7). For example, one of the many charges against HDP co-chair Selahattin Demirtas is for “making propaganda for a terrorist organization.” The grounds for this charge? The mere use of the words “Kurds” and “Kurdistan,” in two public speeches, in 2012. It is worth noting in this regard that President Erdogan himself made use of those terms during the “Resolution Process” (http://www.hdp.org.tr/images/UserFiles/Documents/Editor/AnAssessmentReport.pdf, pp.9-10). Perhaps even more absurdly, co-chair Demirtas is charged again with “making propaganda for a terrorist organization” based on a photograph that was taken of him at PKK headquarters in the Kandil mountains during the “Resolution Process,” where he had travelled many times in his role as mediator between the state, Öcalan, and the PKK, with the state’s full knowledge, indeed, at the state’s behest (http://www.hdp.org.tr/images/UserFiles/Documents/Editor/AnAssessmentReport.pdf, p.10). Another case against Demirtas includes charges of “attempting to destroy the unity of the state and country,” “praising a crime and a criminal,” “inciting people to hatred and enmity,” and “making propaganda for a terrorist organization.” The grounds for these charges? A speech by Demirtas in January of 2016 at a rally in Van, in which he defended the right to defend his ideas: “Let’s get together and discuss things. We say autonomy. Why is your [defense of presidency] a right and our is not? Let’s go on live broadcast, Mr. Prime Minister. You defend presidency and I shall defend autonomy” (http://www.hdp.org.tr/images/UserFiles/Documents/Editor/AnAssessmentReport.pdf, p.11). These and other cases and charges against Demirtas and his fellow MPs reveal the extent to which the defense of the basic party program and platform of “democratic autonomy” has been criminalized by the Turkish state. Another example comes from Mr. Ziya Pir, MP from Diyarbakir, who the delegation had the chance to meet in person during our visit. Among the charges that Mr. Pir faces are those of “membership in a terrorist organization” and “inciting people to enmity and hatred” for making the remark in a speech in Diyarbakir in November of 2015: “Self-governance is our right and we shall earn our right” (http://www.hdp.org.tr/images/UserFiles/Documents/Editor/AnAssessmentReport.pdf, p.11). Mr. Pir faces up to 15 years in prison for this statement. Co-chair Demirtas stands again amongst the accused. He faces yet additional charges of “insulting the President” and “insulting a public officer” for a remark he made during the eight-day siege of Cizre in September of 2015: “You see children are being killed in Cizre, babies are being killed, and [families] are not allowed to bury them. I just want to remind Mr. Davutoglu that he has made it into the historical records as the prime minister who did not allow children to be buried” (http://www.hdp.org.tr/images/UserFiles/Documents/Editor/AnAssessmentReport.pdf, p.12). Likewise, among the many charges against Ms. Demiral, the deputy from Diyarbakir whose unlawful trial we witnessed first-hand, are those of “insulting the president” and “resisting and obstructing an officer on duty,” which were filed in relation to her participation in a delegation of HDP parliamentarians to visit the town of Silvan while it was under siege for 13 days in November of 2015. All the members of the delegation face the same charges, including co-chair Figen Yuksekdgag, who suffered head injuries after being shot by security forces with a gas bomb during the visit, a grievous attack on a parliamentarian and co-chair of the country’s third largest party, for which no investigation has even been opened. The cruel witch-hunt of and cooked-up charges against the representatives of the country’s third-largest political party is disturbing enough. But the extent of state violations is even greater still; for it includes cruel and unusual treatment towards HDP deputies while in custody. Indeed, as Human Rights Watch mentions, in addition to and aided by the reintroduction of incommunicado detention, reports of torture at the hands of Turkish security forces have surged across the country during the period of emergency rule. Tellingly, as the HRW also notes, in the Kurdish region indications of such a surge in fact precede the declaration of emergency rule, coinciding with the end of the peace process and the commencement of the sieges. “Many HDP MP’s have been exposed to torture while in custody, including myself. Suicides are likely. These things should be taken into consideration by the European Parliament and the Council of Europe. The deputies have been traumatized. In addition to the political persecution, and even torture, that they themselves have suffered, there are the brutal deaths of friends and family, who have been murdered by state terror during the “blanket curfews,” more accurately described as sieges. But there is little time for mourning, since the repressive onslaught of the Turkish authorities continues apace. Like the other three elected HDP deputies from the province of Sirnak, a province which overwhelmingly supported the HDP in the last elections, Ms. Birlik faces many charges for her words and deeds during the long curfews on Cizre and Silope. Among the charges she faces is one for “making propaganda for a terrorist organization.” The basis of this charge? Having attended the funeral of Aziz Yural, a registered nurse at the state hospital in Cizre who was murdered for breaking the curfew to attend to a woman who had been gunned down on the street by security forces (http://www.hdp.org.tr/images/UserFiles/Documents/Editor/AnAssessmentReport.pdf, p.13). The persecution of the representatives of the Kurdish Freedom Movement reaches beyond (or beneath) the parliamentarians, and targets local authorities as well. Indeed, as the HDP’s Deputy Co-chair Responsible for Foreign Affairs and Member of Parliament, Mr. Hişyar Özsoy has put it, “the AKP government’s crackdown on local democracy is also continuing full force” (http://www.hdp.org.tr/en/statements/increasing-pressures-on-the-hdp-in-the-lead-up-to-the-referendum/9904). The seized municipalities have had their democratically elected mayors removed from office and often imprisoned, on charges very similar to those filed against HDP parliamentarians. Indeed, 74 co-mayors, including 6 deputy co-mayors, were under arrest in mid-January, 2017. Trustees, appointed by the state in Ankara, all known for their loyalty to President Erdogan’s AKP, have replaced the elected mayors. Among the first actions of these state-appointed trustees: closing down art workshops, theatres, nurseries, and social and educational projects for women, all provided in Kurdish, and dismissing the public employees who worked on these projects. In Diyarbakir, the state-appointed trustee had a monument built in memory of 34 civilians bombed by Turkish jets in Roboski (a village in the province of Sirnak) removed. The trustee also removed a replica of the Assyrian lion statues, icons and part of the cultural heritage of the region, which had been displayed in front of the municipal government building. It is perhaps worth noting, as the HDP does, that “the original forms of these statues were destroyed with bulldozers in Raqqa by ISIS” (http://www.kurdishinstitute.be/wp-content/uploads/2017/02/DEMOCRACY-AND-HUMAN-RIGHTS-REPORT-ON-TURKEY.pdf). It is worth noting as well that the procedures that have been used to replace the dismissed mayors do not abide with the Turkish Constitution, article 127 of which stipulates that “the formation, duties, and powers of the local administrations shall be regulated in accordance with the principle of local administration” (Union of Southeastern Anatolia Region Municipalities (GABB). “Report on Local Democracy and Appointment of State Commissioners to Municipalities in Turkey,” 13 Feb. 2017, p.10). In a similar vein, Mr. Hişyar Özsoy, MP and Deputy Co-chair of HDP Responsible for Foreign Affairs, has warned: “The Erdoğan-AKP government will unlawfully use every means at its disposal to establish the presidential system, which means that the government’s politics of terror and intimidation against each and every sector of the democratic opposition will further intensify in the coming two months. The aim is surely to prevent the opposition from carrying out an effective campaign against the presidential system. “Every passing day it becomes clearer that our co-chairs, deputies and mayors are in prison not because they had committed some crime in the past, but because the HDP did stop Erdoğan’s ambitious presidential system in June and November elections in 2015 and can stop him again in the referendum scheduled for April 2017” (http://www.hdp.org.tr/en/statements/increasing-pressures-on-the-hdp-in-the-lead-up-to-the-referendum/9904). “I asked, ‘Why are you arresting my friend?’ In the order for her arrest, it says because she is a member of the PKK preparing a bomb attack or a Molotov cocktail. There are ten other people on the list, all HDP members. Öcalan is the undisputed leader of the Kurdish Freedom Movement. He is more than just the leader of the PKK; he is the ideological inspiration for the project of “democratic autonomy / democratic confederalism” for which the broader movement struggles. In 2015, 10,328,623 signatures were collected expressing the wish for his freedom and other political prisoners in Turkey. Öcalan’s charismatic appeal is magnified by his extreme and inhumane isolation. For eighteen years now, he has been, in his own words, “chained to the rock of Imrali.” Such circumstances have led him to be compared on more than once occasion with Nelson Mandela, among others, by Mandela’s lawyer, the late Judge Essa Moosa, who headed the first international Imrali peace delegation in 2016. As Ms. Fatima Gul, a representative of the DBP, told our delegation: “Freedom, stability, and peace are all associated with the fate of Öcalan.” With the unravelling of the “Resolution Process,” amidst the spiral of violence and repression, any positive mention of Öcalan’s name, much less the display of his photo, have been rendered criminalized taboos. Indeed, among the many charges filed against co-chair Selahattin Demirtas, there is one for “forming an illegal organization with the aim of committing crime.” The basis of this charge? Communicating greetings from Mr. Öcalan at the 2013 Newroz celebration in Diyarbakir, a charge all the more ironic when it is taken into account that the letter from Öcalan read at the celebration had declared the “Resolution Process” a “harbinger for ‘the ending of the armed struggle and the start of a new era of democracy’” (http://hakikatadalethafiza.org/wp-content/uploads/2016/01/2015_Towards-A-Resolution.pdf, p.10). Our delegation sent a letter to the Ministry of Justice requesting to visit co-chair Demirtas and/or co-chair Figen Yuksekdag. When the Ministry failed to reply (as it has twice with respect to our requests to visit Mr. Öcalan), we opted to go to the prison where Mr. Demirtas is currently being held, and at least force a formal decision. Accompanied by Mr. George-Henri Beauthier (a barrister from Brussels) and HDP MP Hüda Kaya, we traveled by bus to Edirne, some 240 kilometers northwest of Istanbul, very close to the Greek border, only to have our request officially rejected, which was not a surprise. In Edirne, we at least managed an open-air press conference, in front of the prison, something technically prohibited during emergency rule but tolerated in this case. This was very much unlike our experience in Diyarbakir, where heavily armed police tanks had arrived and waited outside of the building where we were scheduled to hold our first press conference. Indeed, on that occasion, security forces waited until we left the building and took extensive photos and videos of our delegation members. [The building in which we held the press conference houses the Democratic Society Congress (DTK) (http://en.hdpeurope.com/?page_id=912), and in fact HDP politicians have been charged with belonging to a terrorist organization for being photographed entering and exiting it]. But in Edirne, the atmosphere was much more relaxed, perhaps because the agents of the state felt more secure than in Kurdistan, where the HDP is by far the most popular political force. Even a reporter for a government-sponsored news agency showed up to the press conference at the gates of Edirne Prison, and managed to ask Ms. Julie Ward, Member of European Parliament from Britain, what she meant when she referred to the concept of “Kurdistan,” “where exactly is this place?”, which he claimed does not exist. However comparatively relaxed the atmosphere might have seemed from the gates of Edirne prison, the fact remains that Mr. Demirtas and other HDP MPs find themselves isolated there and in other prisons, far away from their constituencies, held in inhumane conditions not altogether dissimilar, if less extreme, from the methods applied to Abdullah Öcalan on Imrali Island. So similar that Mr. Öcalan’s lawyers registered their grave concerns about what they called “an extension of the Imrali model” to all representatives of the Kurdish Freedom Movement. “To begin with, I was in isolation for more than 70 days. We were all alone, not able to communicate with anybody. In the prison, there are three rooms in each corridor. To isolate us, they emptied the other rooms. I couldn’t hear other sounds or voices. “Plus, it is an old prison, and it is very cold there. I had to wear my coat constantly. I am still cold. All I was provided with was a bed, a chair, a table. It was really hard to find other things we needed. Even the plastic spoons and forks they gave us to eat with, they were so soft and they would break and the sharp edges would cut the mouth. “Communication with the outside world was seriously hindered. Letters were censored, their delivery delayed for a very long time. “Only once a week could we buy from the canteen. The things provided did not fulfil our requirements. “From the faucets the running water was so dirty, it came out yellow. I had no clean water for the first three days. When I asked for water, they said I have to wait for the canteen day. “When we demanded that things be provided, the prison couldn’t decide. The request had to go up to the Minister of Justice. In general, our requests were denied. Indeed, an extension of the “Imrali model,” in more than one way. First, in terms of method – i.e. unlawful and inhumane isolation; restrictions and bans on visits, for significant periods even of lawyers; confiscation of lawyers’ documents; audio-visual recordings of visits with lawyers; and presence of an officer during visits. The model is an extension of Imrali in another crucial way as well, in terms of intent – i.e. the intent to silence the voices of peace. Which brings us again to the subject of Mr. Öcalan. One of the key components of the deliberately polarizing policy pursued by the Turkish authorities vis-à-vis the Kurdish Freedom Movement over the past year-and-a-half has been the deliberate silencing of the voice of Abdullah Öcalan, who for over a decade has consistently called for a peaceful political resolution to the Kurdish people. Since the Turkish government’s abrupt ending of peace talks in spring of 2015, Mr. Öcalan has been subjected to a regime of near total isolation. As he enters the nineteenth year of his detention, he leads a solitary life. Two of the five other prisoners who were formerly present on Imrali have now been transferred to other high-security prisons. Öcalan’s only human contact is, from time to time, with the remaining three other prisoners, and with his guards. Not even his family can visit him, with the exception of one hour granted his brother on the 11th of September, 2016 – a concession which took a hunger strike by HDP Members of Parliament and by his lawyers to win, and which was counterbalanced by the seizure of dozens of Kurdish-controlled municipalities on the same day. His lawyers, who have not been able to visit him since 2011, apply to visit at least once a week, but they have applied more than 600 times now and are repeatedly turned down, given absurd excuses that the boat is broken. Aside from the one hour with his brother, and a trip from the Council of Europe’s Committee for the Prevention of Torture, no one has been permitted to visit since the last Peoples’ Democratic Party (HDP) delegates left on April 5, 2015. Other than a short message delivered from his brother, no communication from him has been received since then. The total isolation of Öcalan during the unraveling of the peace process is of course no coincidence. To the contrary, it is a deliberate act, and constitutes one of the most dangerous components of the criminal and polarizing policy pursued by the Turkish authorities vis-à-vis the Kurdish Freedom Movement over the past year. This is because Öcalan remains a symbol of the Kurdish nation for many Kurds. Because of his charismatic appeal, his words carry a lot of weight within the Kurdish Freedom Movement. They exercise a powerful influence over the contours of political subjectivity amongst his many followers. And over the course of the past two decades, especially since his capture, Öcalan has been consistent, clear and unambiguous over the past decade with respect to the need for a peace process that would entail sacrifice and transformation on all sides. Indeed, his has been a voice that has consistently called for constraint and for commitment to a peaceful political resolution to the Kurdish question in Turkey. 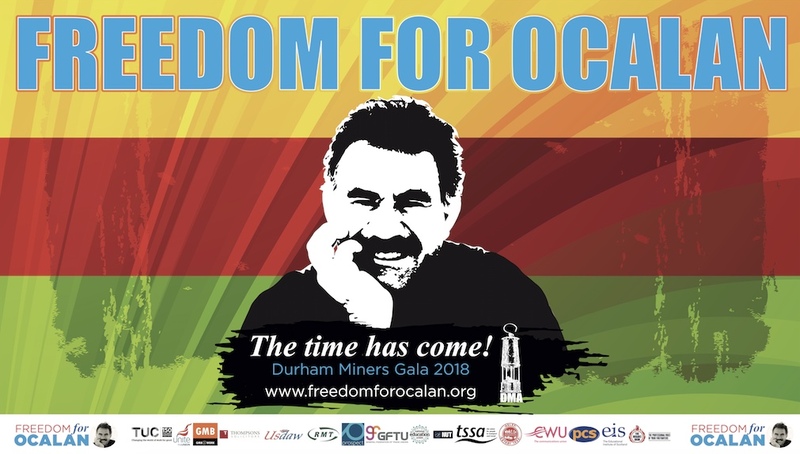 Öcalan’s vision of “democratic autonomy,” or “democratic confederalism,” which he has elaborated extensively from his lonely prison cell on Imrali, amounts to a striking re-interpretation of the principle of self-determination, and provides a road map for peace for the broader Middle East. His model combines (a) an expansion of outlets for local and participatory democratic decision-making, with (b) institutional guarantees for accommodating local ethnic and religious diversities, (c) an emphasis on gender equality, and (d) respect for existing state boundaries, including an explicit and principled renunciation of the goal of a “Greater Kurdistan” (http://www.freeocalan.org/wp-content/uploads/2012/09/Ocalan-Democratic-Confederalism.pdf). This last prong of his model merits special attention, given the conflicts and accusations surrounding the declarations of self-rule since August of 2015 throughout the Kurdish region. The resumption of violence and the rapid descent into human rights’ atrocities is all the more tragic given the fact that just two years ago, a definitive peace looked so close. In Newroz celebrations in March of 2013, a message from Öcalan would be read, in which the Kurdish leader called for a ceasefire (the 7th time he had done so since 1993), and for the second time, asked the PKK to withdraw from Turkish soil into the Qandil mountains. The first time the leader had asked the PKK to do this had been back in August 1999, during his trial. His request in 1999 had been obeyed by the PKK, but their retreat was “met with a massive armed operation by the Turkish military and resulted in the deaths of hundreds of guerillas” (http://hakikatadalethafiza.org/wp-content/uploads/2016/01/2015_Towards-A-Resolution.pdf, p.9). “In taking this 30-year process of clashes to permanent peace, our main target is reaching a democratic solution. On principles that form the least common denominator, I invite the PKK to summon an extraordinary congress in Spring in order to make the strategic and historic decision on the basis of ending the armed struggle. This invitation is a historical declaration of intent aimed at replacing armed struggle with democratic politics” (http://hakikatadalethafiza.org/wp-content/uploads/2016/01/2015_Towards-A-Resolution.pdf, p.106). The HDP representative then went on to list the headings of 10 clauses included in the framework of the Agreement: (1) democratic politics, its definition and content; (2) recognition of the national and local dimensions of the democratic solution; (3) legal and democratic reassurances for free citizenship; (4) the relationship between the State and society and democratic politics, a heading aimed towards its institutionalization; (5) socioeconomic dimensions of the solution process; (6) treatment of the democracy-security relationship in a manner that protects public order and freedoms throughout the process; (7) legal solutions and reassurances for women’s, cultural, and ecological problems; (8) development of a pluralist democratic approach regarding the recognition of the concept, definition and recognition of identity; (9) definition of the democratic republic, common homeland and nation on the basis of democratic criteria, and the introduction of legal and constitutional reassurances within the pluralist democratic system; and (10) a new constitution with a vision to internalize all these democratic moves and transformations (http://hakikatadalethafiza.org/wp-content/uploads/2016/01/2015_Towards-A-Resolution.pdf, p.106). Turkey’s Deputy Prime Minister, present at the reading of the message, would in turn remark: “We find important this statement on the acceleration of work towards disarmament, realization of a complete state of non-action and prioritization of democratic politics as a method” (http://hakikatadalethafiza.org/wp-content/uploads/2016/01/2015_Towards-A-Resolution.pdf, p.107). For his part, then Prime Minister, Ahmet Davotoglu, referred to Öcalan’s statement as marking the beginning of a new phase in the peace negotiations (http://www.ft.com/cms/s/0/5d305c18-bf67-11e4-99f8-00144feab7de.html#axzz47X3Uqh9r ). (http://hakikatadalethafiza.org/wp-content/uploads/2016/01/2015_Towards-A-Resolution.pdf, p.109). April 5th, 2015, would be the last time the HDP representatives were allowed to meet with Öcalan. Since then, for close to two years now, his fate has been that of basically total isolation, and that of most of the HDP representatives, persecution, imprisonment, and isolation as well. And with the isolation of Öcalan and the HDP, the silencing of the voices of crucial role players in the difficult path towards peace. A peace that had been so close just over two years ago, now seemingly so far away. There is of course a much longer history to the conflict between the Turkish state and the Kurdish Freedom Movement, a history soaked in the blood of state terror, without which this latest episode cannot be understood (see http://statecrime.org/state-crime-research/turkey-overview/;and https://www.tni.org/files/download/building_peace_in_permanent_war.pdf). During the accession process, the European Union managed to leverage significant pressure on the Turkish state, contributing to a certain liberalization, if not full convergence with European law and international human rights’ norms, especially in dealing with ethnic minorities, most significantly, the Kurds. But now the carrot of accession is off the table; and with the rise of the xenophobic right in Europe, and the associated obsession with “fortress building,” the dynamics of relations between Turkey and Europe have been significantly transformed, in a most problematic direction. No longer does the European Union appear capable of exercising such liberalizing leverage over the Turkish authorities. In fact, in the so-called “refugee crisis,” the tables have been turned. The balance of leverage has effectively been reversed. Now the Erdogan government gets rewarded by the European Union, even as it suppresses freedom of expression, even as it pummels the Kurds. Just two weeks before Turkey’s November 1, 2015, snap election, German Chancellor Angela Merkel, facing intense domestic “pressure to stem the flow of refugees into Europe,” travelled to Istanbul to meet with President Erdogan, “where she pledged to push forward Turkey’s long-delayed bid to join the European Union in return for cooperation” in keeping the refugees out of Europe. Nor was Merkel alone in her appetite for appeasement. Indeed, as Time magazine would report, “[d]esperate to engage with Ankara over the migrant crisis, Brussels … even delayed the European Commission’s annual report on Turkey’s E.U. membership application until after the November elections – a report that was expected to contain heavy criticism of Erdogan’s autocratic rule and disregard for E.U. principles of freedom of expression” (http://time.com/4076484/turkey-eu-billions-dollars-refugee-slow/). In March of 2016, Chancellor Merkel began to deliver on her promise, when the EU struck a deal with Turkey at a summit, according to which all refugees and migrants arriving in Greece are to be returned, in exchange for “‘reenergized’ talks on [Turkey’s] EU membership, and 3 billion Euros in financial support for the Erdogan government, nominally “intended to help Syrian refugees in Turkey” (http://www.theguardian.com/world/2016/mar/18/eu-strikes-deal-with-turkey-to-send-back-refugees-from-greece). It should be noted that not a single euro has gone to help the Yezidi refugees coming across the land border who are supported instead by Kurdish aid organisations and the municipalities of nearby cities such as Diyarbakir. The deal has come under much scrutiny from human rights’ advocates. Back in October 2015, on the occasion of Merkel’s visit with Erdogan when plans for the deal were first announced, Andrew Gardner, Amnesty International’s researcher on Turkey, had complained that “a deal premised on keeping refugees in Turkey fundamentally ignores both the challenges they face there and the obvious need for the E.U. to offer protection to a greater share of the world’s burgeoning refugee population” (http://time.com/4076484/turkey-eu-billions-dollars-refugee-slow/). In April 2016, the Council of Europe would concur with this judgment, issuing a report that amounted to a “stinging indictment” of the deal, which it warned might even “exceed the limits of what is permissible in international law.” According to the report, “Even on paper, [the deal] raises many serious questions of compatibility with basic norms on refugees’ and migrants’ rights. It has so far given every indication of being even more problematic in practice” (http://www.theguardian.com/world/2016/apr/20/eu-refugee-deal-turkey-condemned-council-of-europe). The insidious logic of the “war on terror” thus seems to have brought the European project full circle. The chickens are coming home to roost. The brutal indifference of the European authorities to the recent resurgence of state terror and human rights’ abuses in Turkey helps clarify precisely what “European values” have come – again – to mean. There is still hope that European institutions, especially the European Court of Human Rights and the Committee for the Prevention of Torture, can effectively leverage pressure on President Erdogan and the Turkish state to cease and desist from the ongoing campaign of state terror and human rights violations against the Kurds. “After the exhaustion of domestic remedies in October 2011, an application was submitted to the European Court of Human Rights (74751/11). No progress on this application has been made although the application was submitted a long time ago. The İmralı Isolation System, which has no legal ground, has been built for a long period and has spread across the country now. It might be the only prison in all over the world that no information about it is received. We have received no direct or indirect piece of information about the İmralı Prison for last 150 days. Therefore, we are seriously concerned about our client. “After the failed coup attempt on 15 July 2016, 1st Office of the Judge of Execution in Bursa ruled, in summary, that “all forms of communication and visits are banned at the Imralı Prison during the State of Emergency period.” The appeal against this court decision (that we filed on 27.10.2016), like other thousands of applications, is still pending before the Constitutional Court of the Republic of Turkey. “The CPT has visited the Imralı Prison for 7 times since 15 February 1999 and published all its reports after the Turkish Government has requested the publication of these reports. However, the CPT has not published its report on a two-day-visit (28-29 April 2016) to the Imralı prison though it finished the report. “None of the CPT recommendations, which the Committee made in its previous reports, for family and lawyer visits as well as other aspects of the isolation at Imralı have been implemented by the Turkish Government. Not taking necessary steps to implement recommendations for problems, which reports draw attention to, at Imralı indicates that Turkey acts in a contrary manner to the ban on torture and the co-operation principle of the Convention. In this regard, if the CPT authorities think that they have nothing to do (it is what we observe from the CPT authorities), it is not true. Article 10/2 of the European Convention for the Prevention of Torture and Inhuman or Degrading Treatment or Punishment, which is the basis of the CPT, refers to a procedure. The Article provides that if the situation is not improved in a certain period, the Committee-as a warning-may make a public statement on the matter. The present conditions are worse than 2007 on which the Committee made such a public statement. None of the recommendations from 2010 and 2013 CPT reports were implemented. On the contrary, conditions were worsened at the Imralı Prison. As Mr. Rezan Sarica summed up the matter for our delegation, in closer to laymen’s terms: “We want the CPT to do something about Öcalan’s isolation at Imrali. None of the advice given by the CPT in 2010 and 2013 has been implemented. Even worse conditions have been put in place.” Even more explicitly, Mr. Ibrahim Bildez would recommend in conclusion: “When the government keeps violating norms, the CPT can make a press statement and publicize this to the world. It can and must say: ‘European law is being violated. This has to be stopped’.” Silence signifies complicity. Democratic Society Congress (DTK): Leyla Guyen (co-chair); Ms. Dilek Arcan (member of executive board); Mr. Moussa Fayasullani (member of executive board). Democratic Regions’ Party (DBP): Ramazan Tunç; Ms. Fatima Gul; Mr. Salih Yildiz; Ms. Ayse Serra Bucak. Diyarbakir Bar Association: Ahmet Ozmer (Chair); Ms. Nugin Uysal (General Secretary); Mr. Darket Eren (member of executive board); Mr. Mehmet Emin Aktar (Former Chair). Free Women’s Movement (TJA): Fatma Kasan; Ms. Aysa Gokkan; Ms. Miyosa Celik; Ms. Ruker Yilmiz; Ms. Zukal Tekiner. Peoples’ Democratic Party (HDP): Leyla Birlik (MP); Mr. Ziya Pir (MP); Ms. Sibil Yigitalp (MP); Mr. Ferhat Encü (MP); Mr. Serpil Kemalbay (Central Committee) Ms. Hüda Kaya (MP); Ms. Pervin Buldan (MP); Ms. Esengul Demir (HDP Istanbul co-chair); Ms. Ayse Erdem (MP); Ms. Gülsüm Agoaglu (Central Committee). Confederation of Progressive Trade Unions of Turkey (DISK) and Confederation of Public Workers’ Unions (KESK): Fatma Kiliç; Mr. Üzeyir Evrenk; Mr. Hassan Eraglu. Journalists from Banned Media Outlets in Diyarbakir: Mehmet Ali Ertas (Dicle Haber); Mr. Baris Baristiran (Özgür Gün TV); Mr. Ibraham Aslan (Jiyantu); Mr. Gulistan Korhan (Azadi TV); Ms. Firat Yasar (Van TV). Jarmasik Aid Organization and Rojava Aid Organization: Serif Camci; Mr. Mustafa Ocaklik; Mr. Huseyin Durmaz; and Mr. Daynt Kesen. Peoples’ Democratic Congress (HDK): Ms. Gulistan Kiliç Konyigit (co-chair); Ms. Çigden Kiliçgun Uçar (member of executive board); Mr. Erkan Tepeli. Democratic Islam Congress (DIK): Hüda Kaya; Mr. Yusuf Inal; Ms. Didem Aydin; Ms. Süheyla Inal; Ms. Nurten Ertugrul; Ms. Tülay Yildirim Ede. Journalists from Banned Media Outlets in Istanbul: Günay Aksoy (Özgür Gündem); Mr. Yasin Kobulan (DiHaber); Ms. Derya Okatan (Özgür Radio); Mr. Veli Büyüksahin (TV10). Peace Bloc: Ayse Erzan (co-chair). Women’s Freedom Assembly: Züleyha Gülüm. Human Rights Association: Gülseren Yoleri (co-chair); Mr. Oztürk Türkdogan (chair). The delegation included: two current representatives from the Parliamentary Assembly of the Council of Europe, Miren Edurne Gorrotxategi (Basque Country, Spain) and Ulla Sandbaek (Denmark); a current Member of the European Parliament, Julie Ward (UK); a former MEP, Francis Wurtz (France); a former Minister of Justice and trade unionist, Ögmundur Jonasson (Iceland); veteran Foreign Correspondent, Jonathan Steele (UK); the Chair of the Westminster Justice and Peace Commission, Father Joe Ryan (UK); the Chair of the Transnational Institute for Social Ecology (TRISE), Dimitri Roussopoulos (Canada); a member of the TRISE advisory board and researcher at Leeds University, Federico Venturini (Italy); and a Lecturer from the University of Cambridge, Thomas Jeffrey Miley (USA).